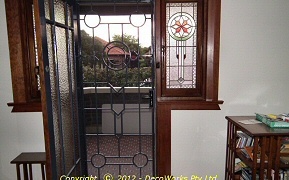 The Strand security door design for this home needed to compliment the large leadlight panel which dominated the front door in the front verandah of the house. 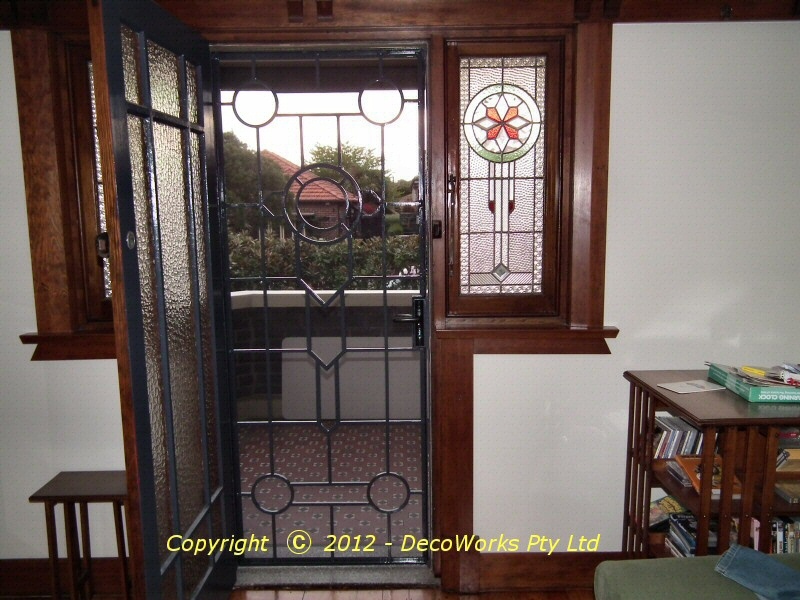 A second door also opened onto the verandah from the lounge room which used textured glass panels with small leadlight panels in the wall either side. 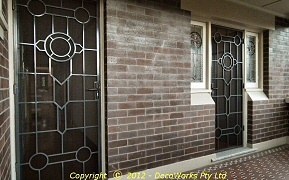 The client wanted matching security doors for each of the two doors. 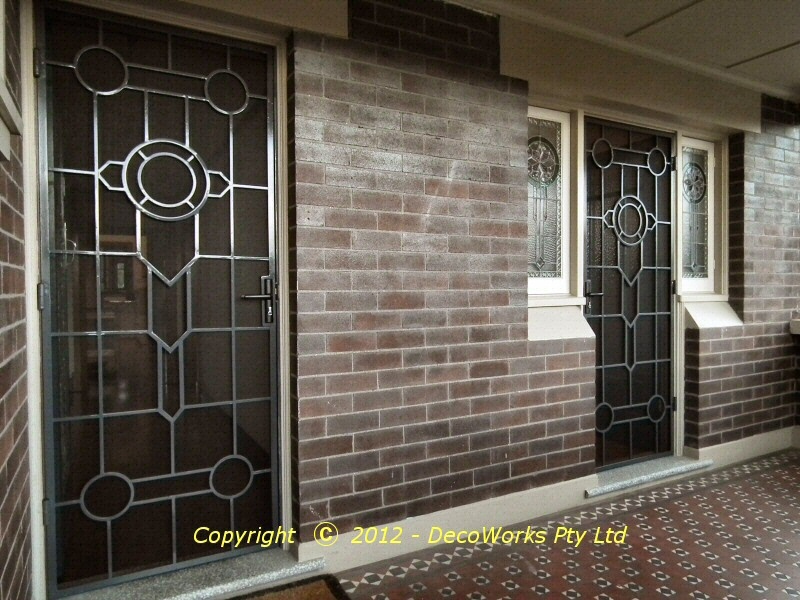 The final design mirrored design elements of the front door leadlight panel which accentuated it's design without obstructing it with unnecessary vertical or horizontal bars. 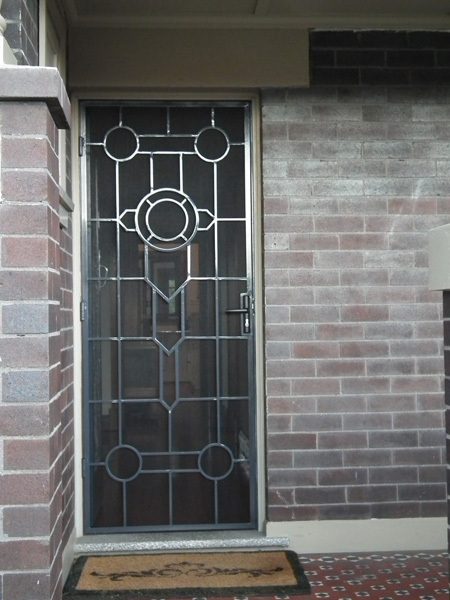 The silhouette of the Strand security door is very attractive and doesn't convey the feeling of being trapped in a cage. 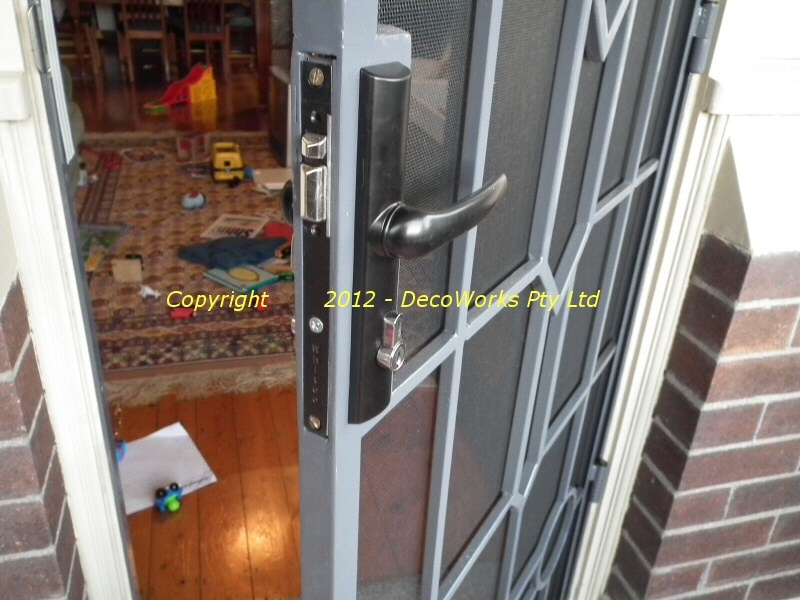 Firstly, a full size drawing of the Strand security door design was drawn up on plywood. 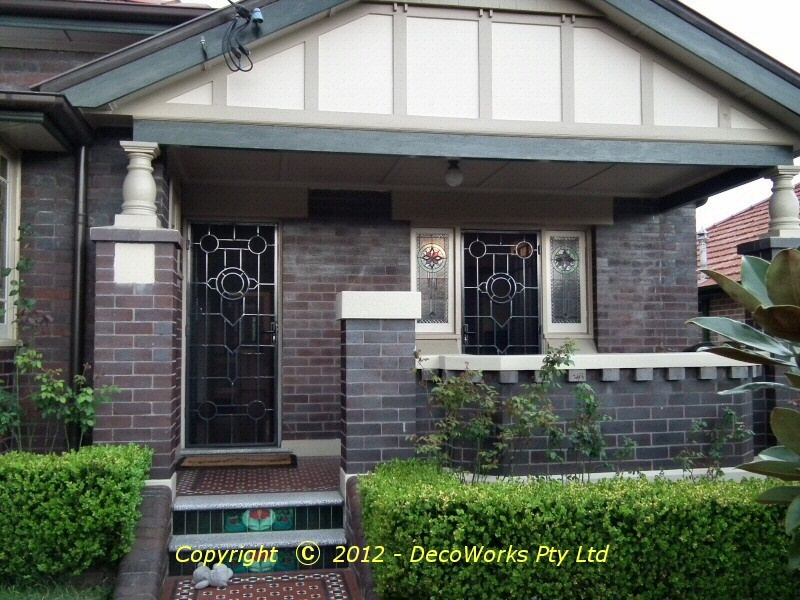 After each part of the design was made in steel they were fixed in their relative position on the drawing before being welded together. The circular parts first needed to be rolled in sections and then cut and welded to form the complete circle parts. 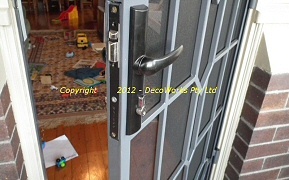 After the frames were completed they were painted and the locks and handles fitted. 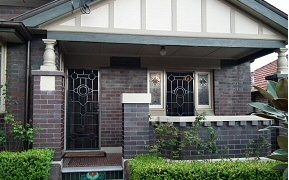 Insect screen was then attached on the back of the doors using rubber spline pushed into the steel channels around the door edges.